Softbound appointment book features a double-column format with schedules from 7am-5pm. Sturdy vinyl cover with 11.5 x 9 inch pages. 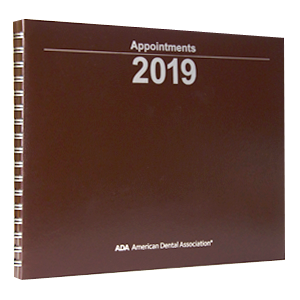 The 2019 books are brown. Includes ADA phone numbers.